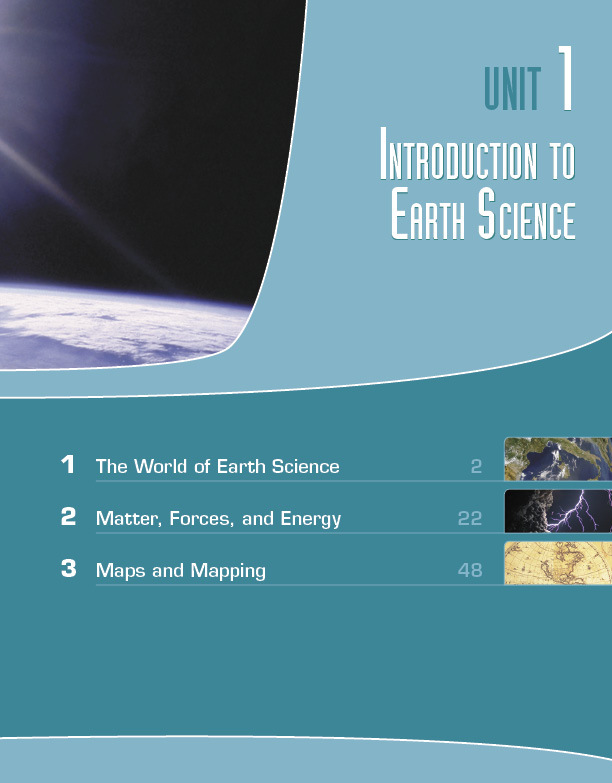 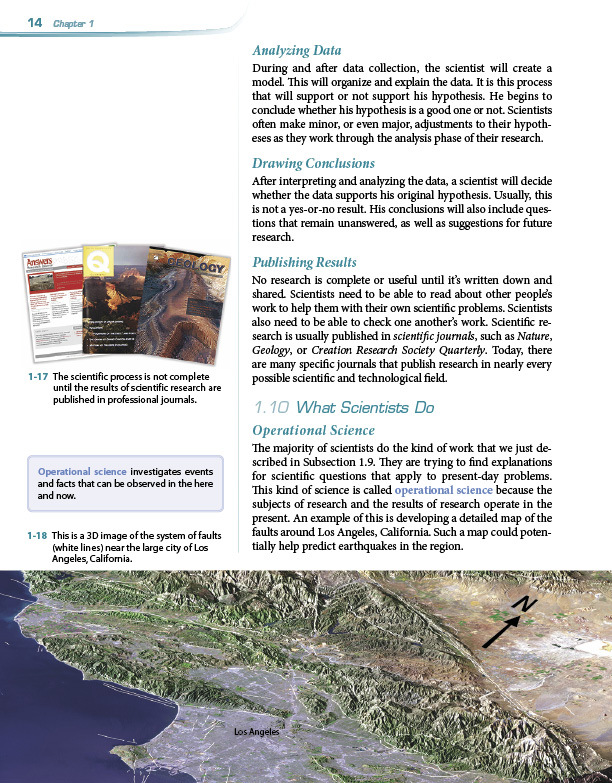 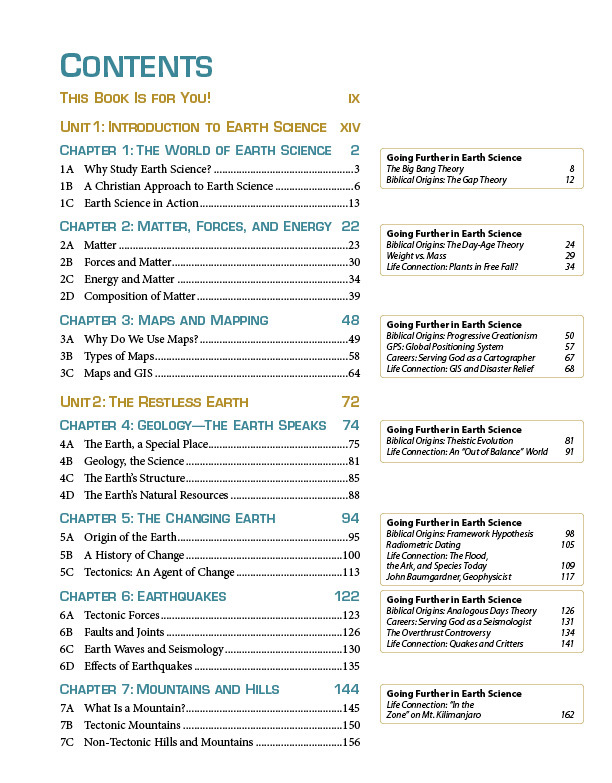 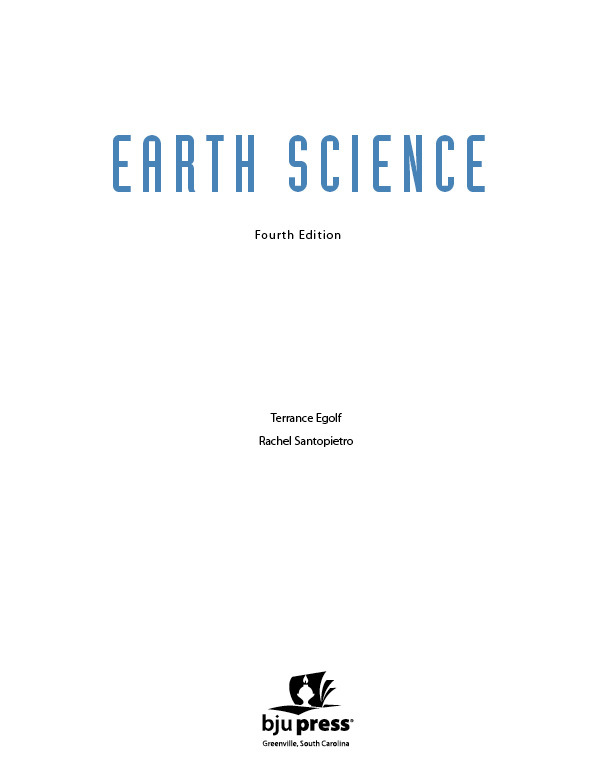 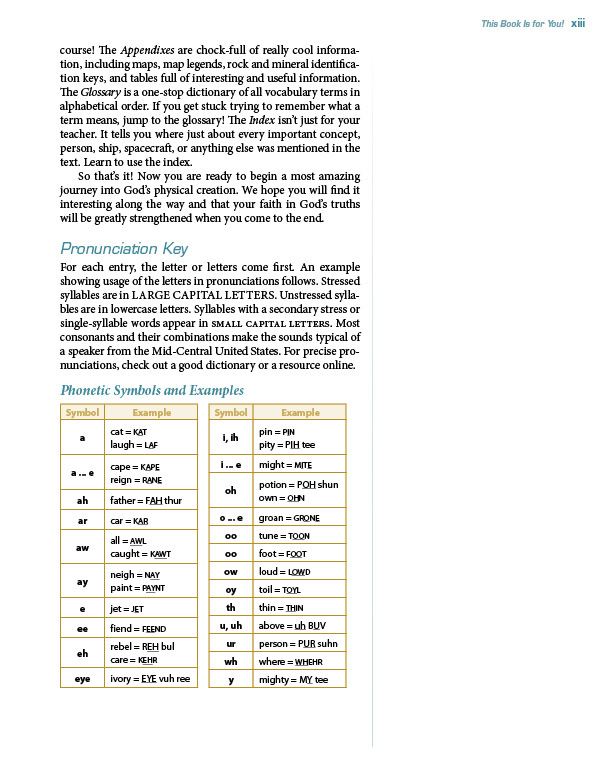 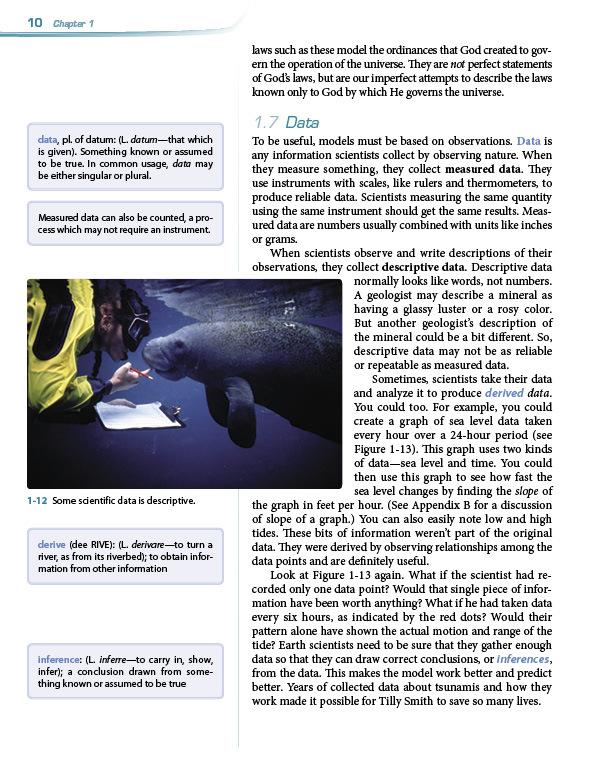 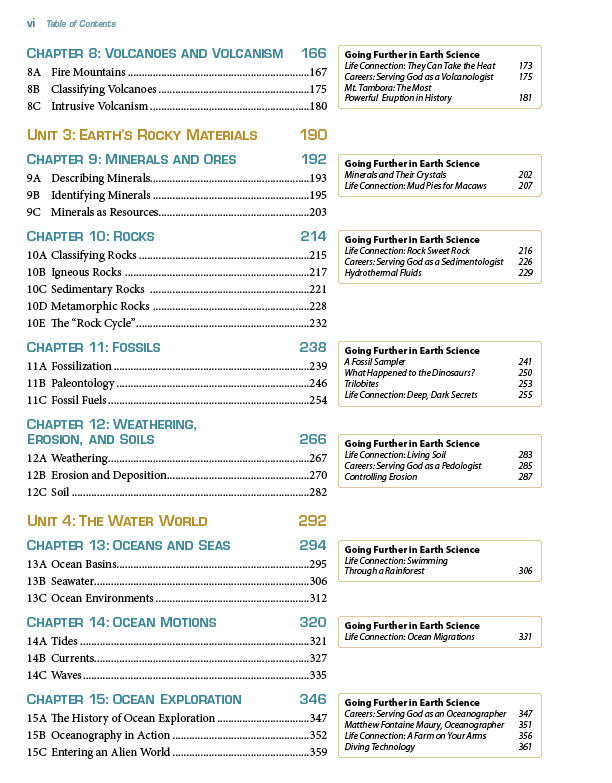 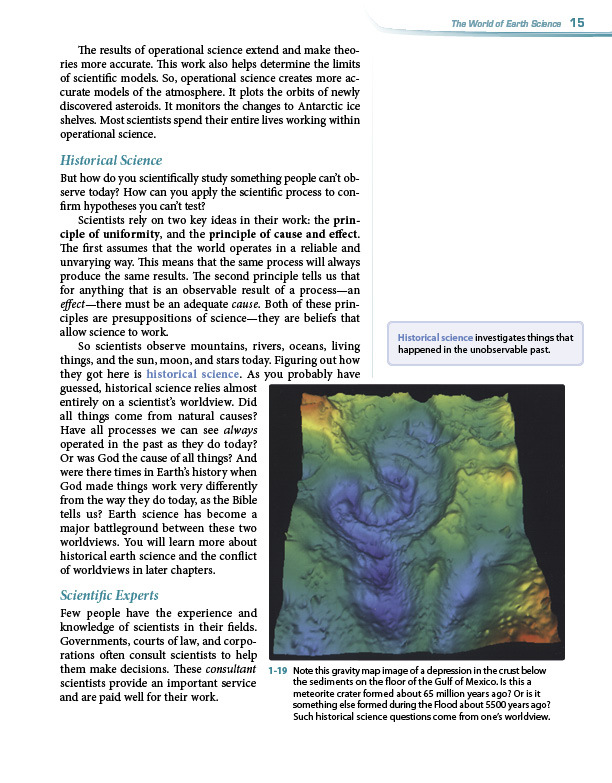 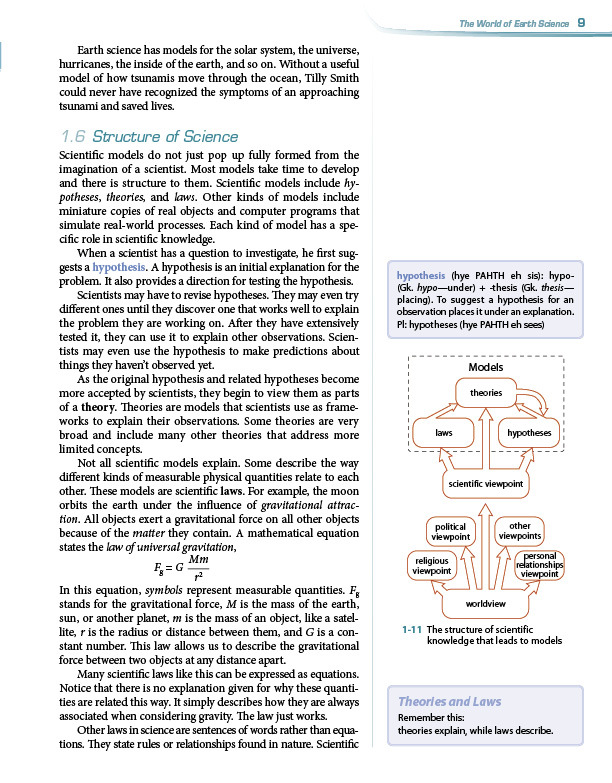 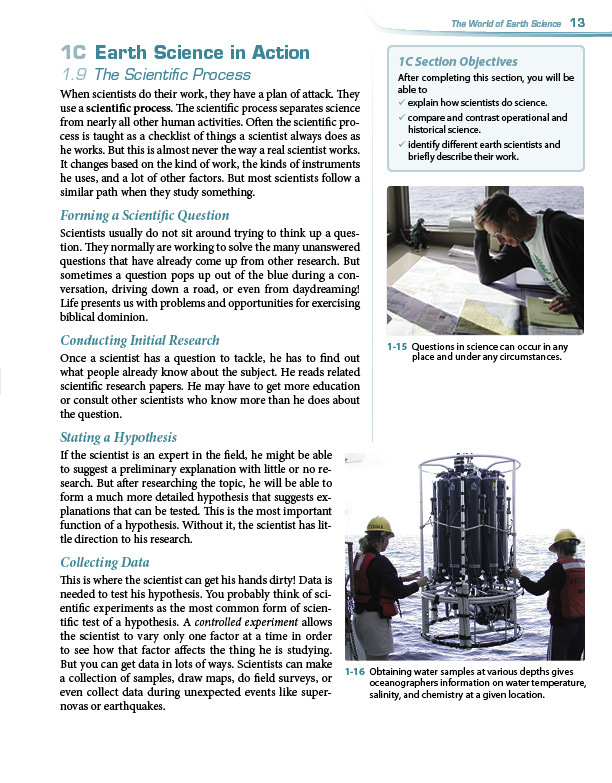 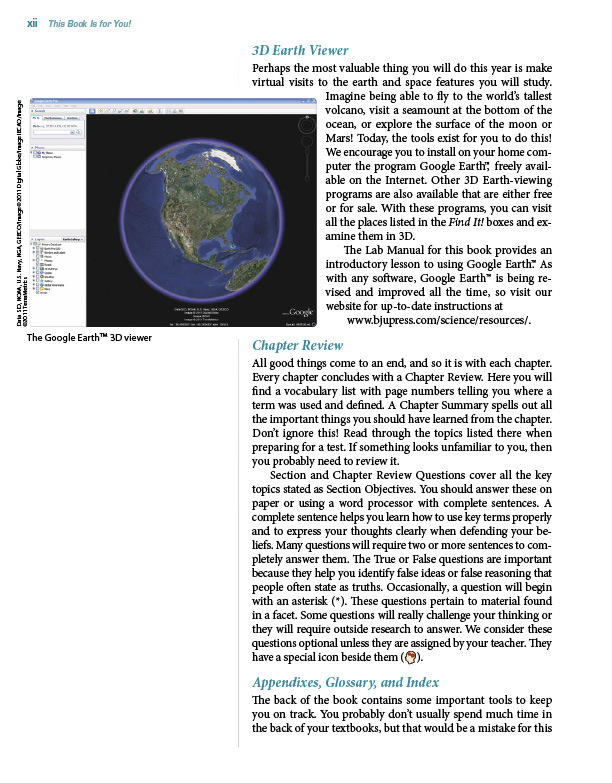 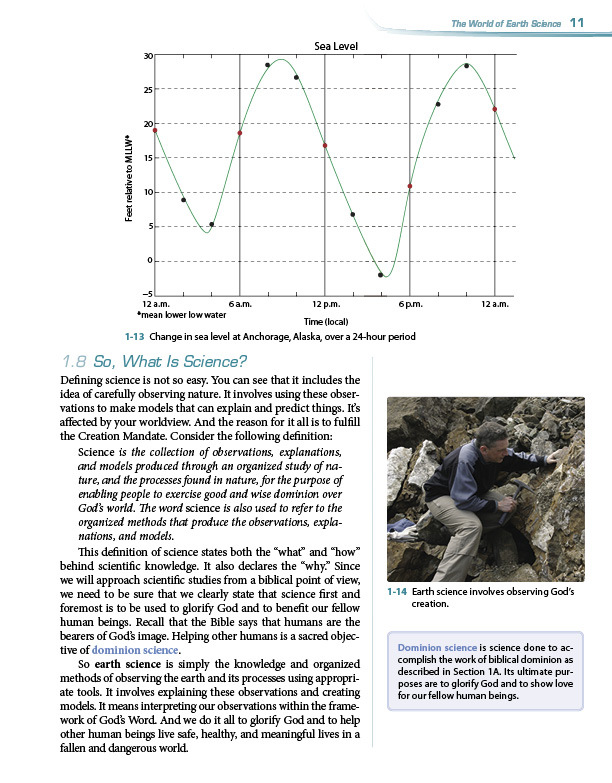 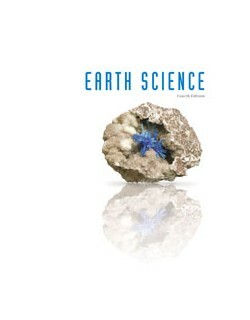 Earth Science, 4th Ed. 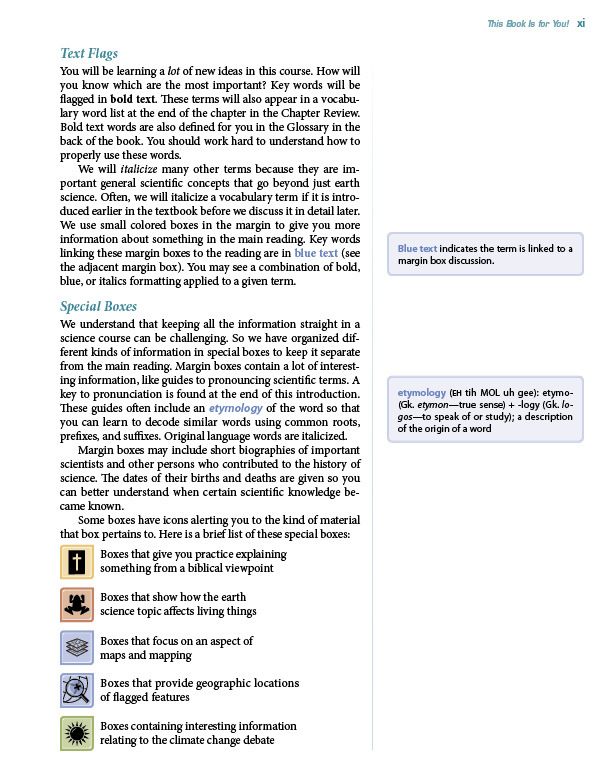 is an expedition. 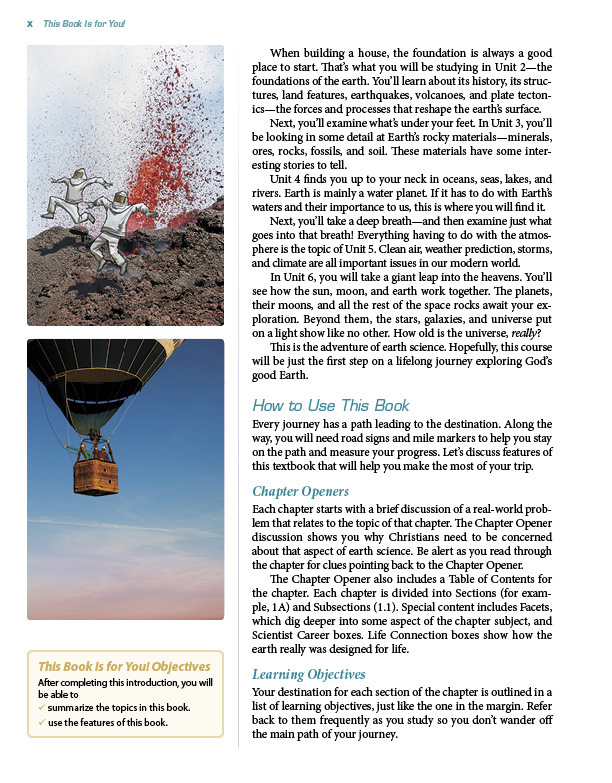 Your students will find themselves climbing mountains, diving into the oceans, and launching into the skies on a quest to learn how the world works. 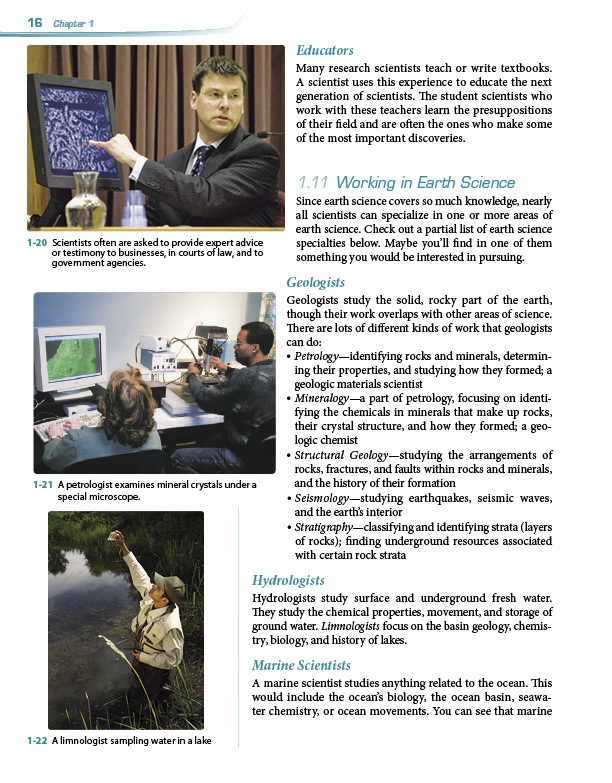 During this quest, students will find that Earth science is also a battle of worldviews. 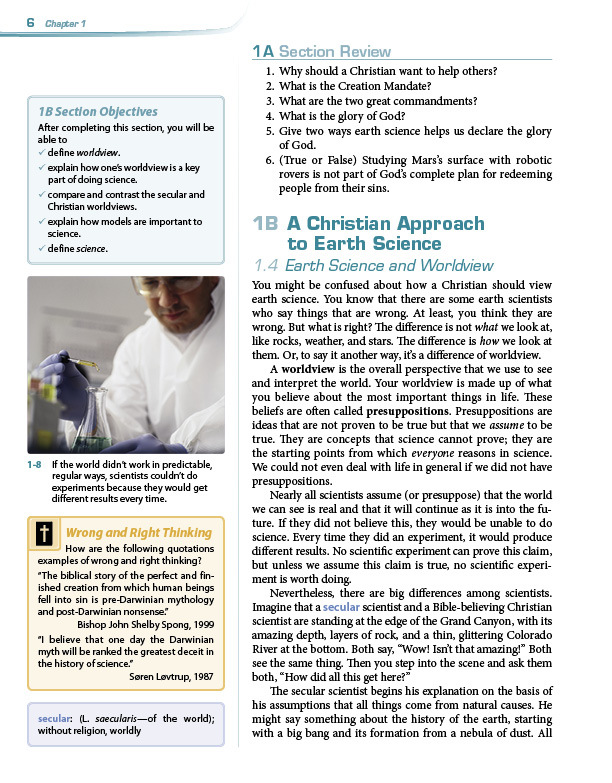 This text clearly introduces students to the secular theories of where everything they see came from. 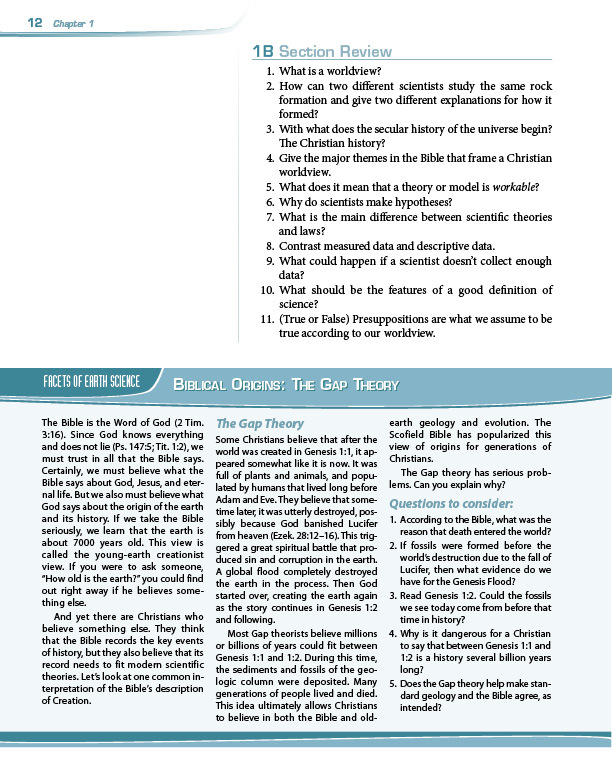 They critique these theories. 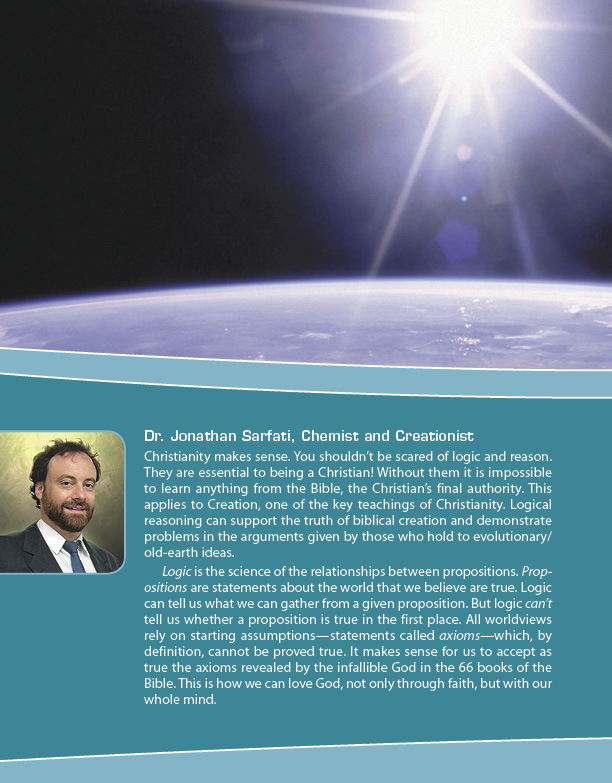 For each secular theory, the text affirms the conservative biblical view of Earth’s history shaped by Creation, the Fall, and the Flood. 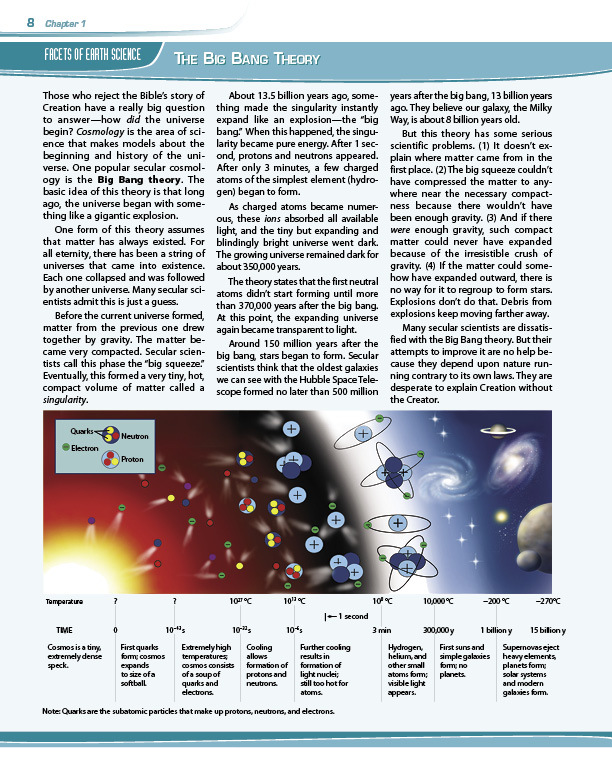 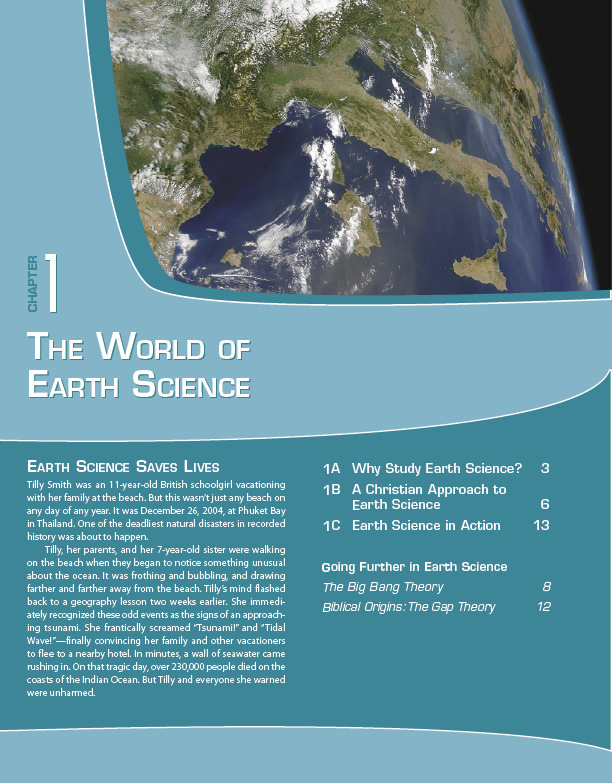 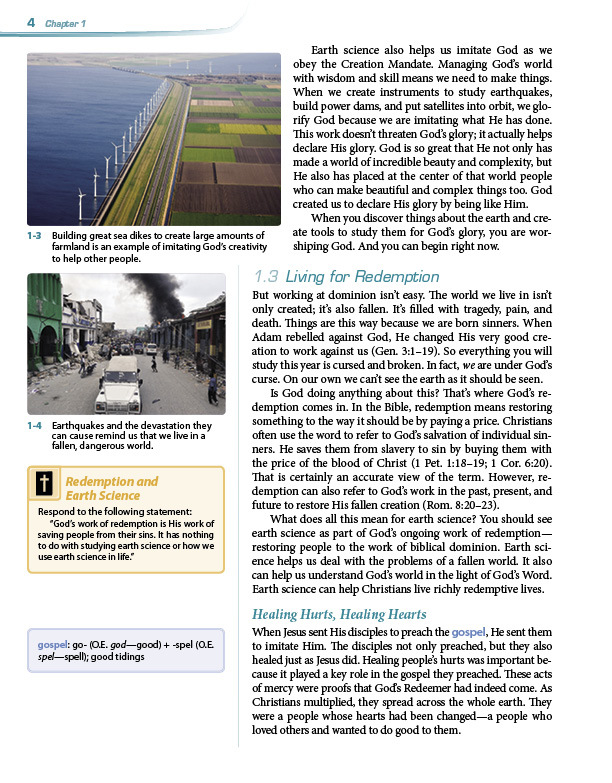 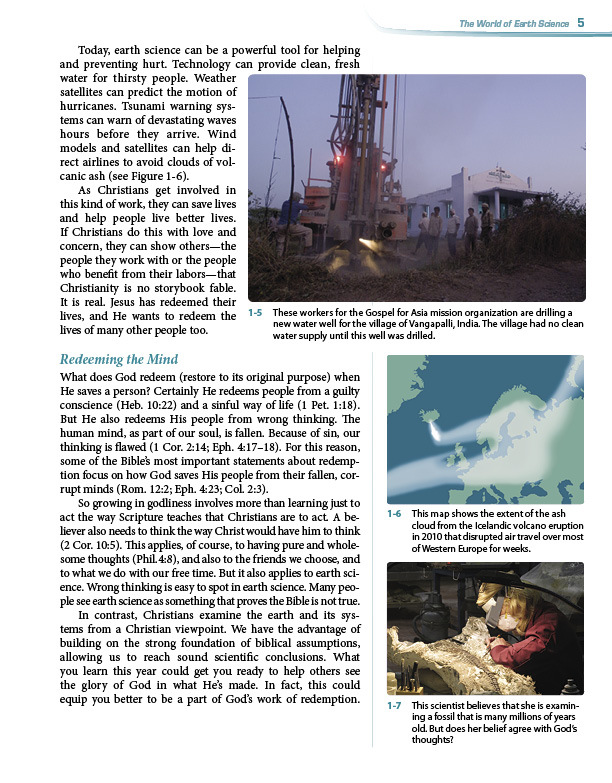 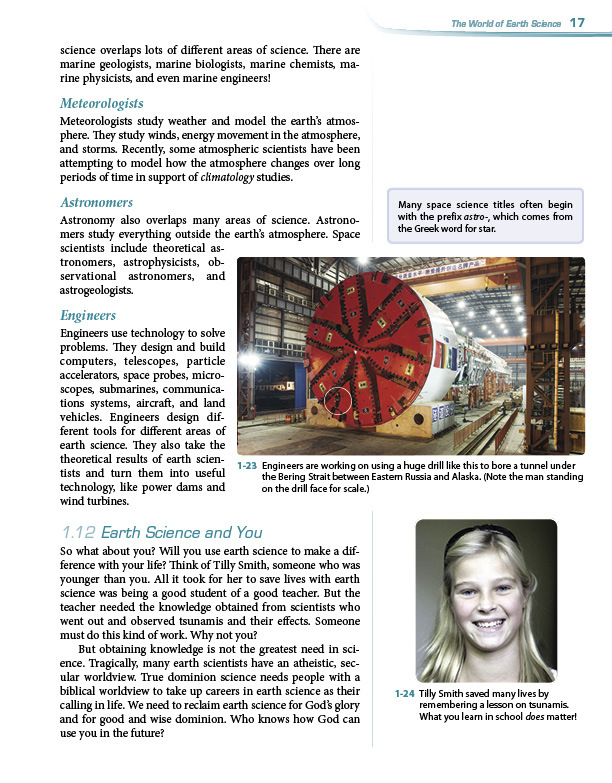 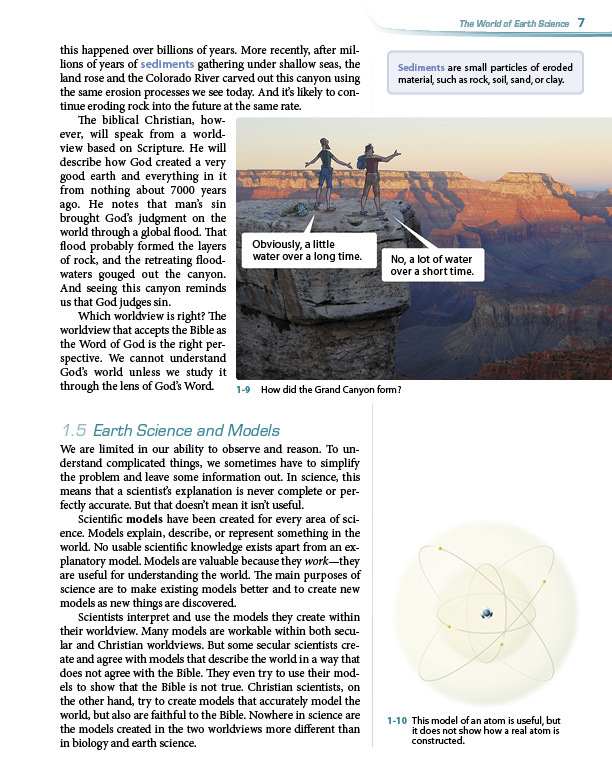 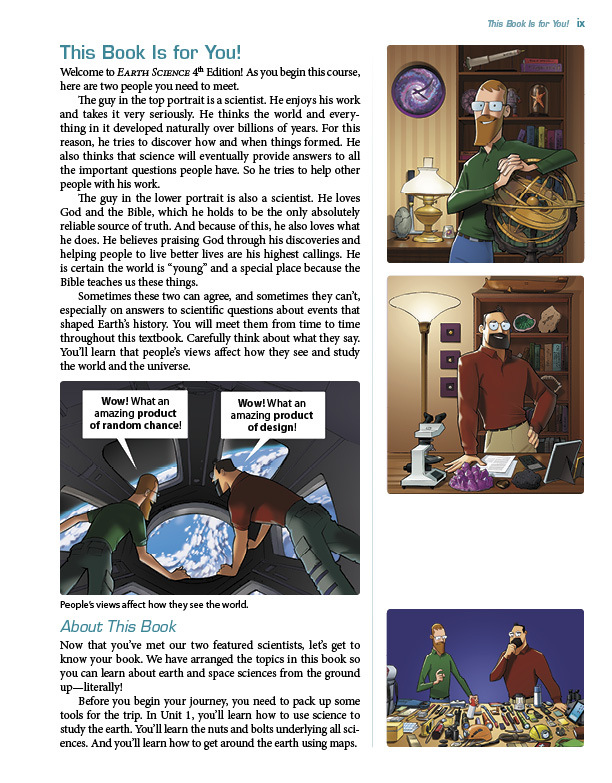 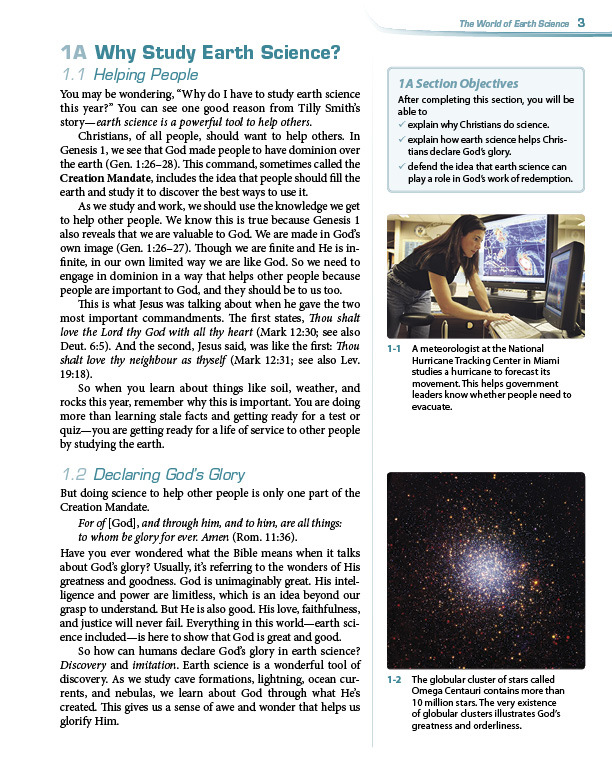 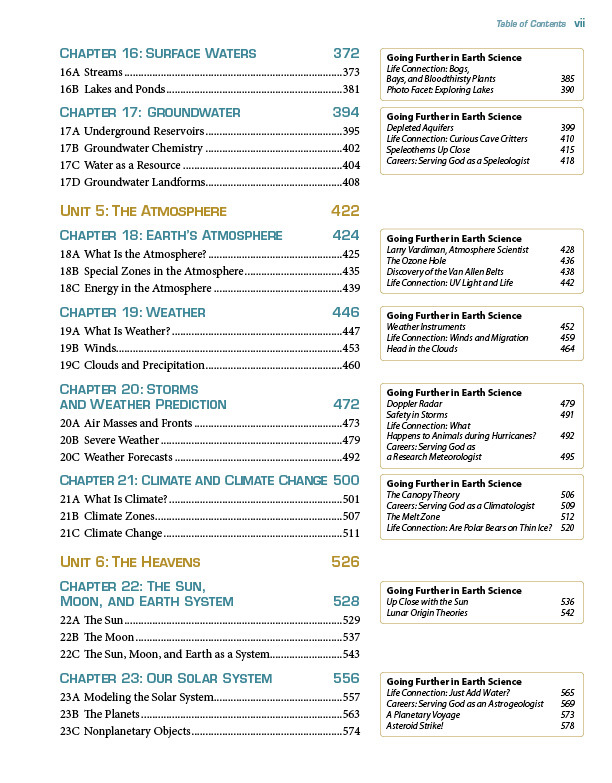 Students’ Christian worldviews will be shaped and strengthened as they learn about tectonic processes, landforms and earth materials, fossils, the oceans and oceanography, rivers and lakes, the atmosphere, weather and storms, climate and environmentalism, the solar system, the universe and cosmology, and space science. 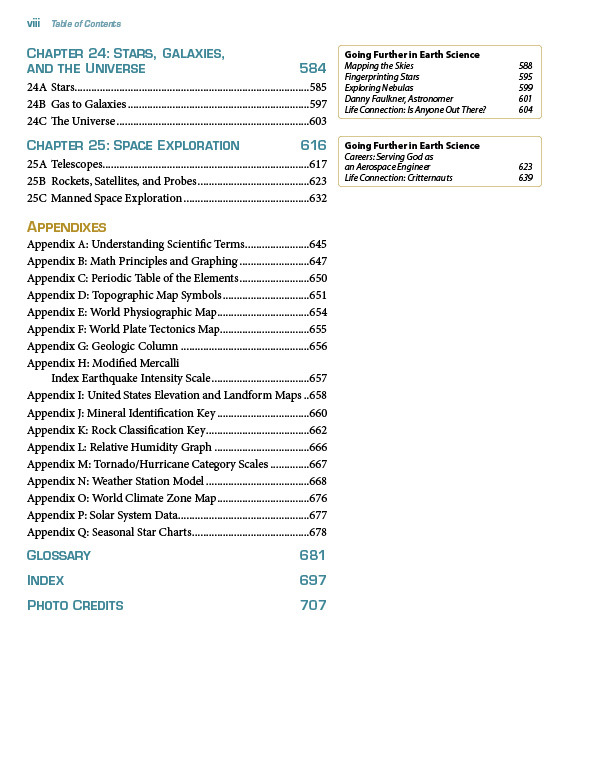 이곳의 저작권은 BJU Press에 있으며, 모든 페이지 내용의 저작권은 BJU Press 가 가지고 있습니다.